Huawei's latest flagship smartphone is its smartest yet, but will also benefit mobile workers. Huawei has taken the wraps off its latest flagship smartphone, the Mate 10 Pro, featuring its most advanced AI capabilities to date. At an event in Munich today, the Chinese smartphone giant officially unveiled the new top-of-the-line Mate 10 Pro and Mate 10 devices, described as "bringing the ultimate intelligence experience." "Today the smartphone is the most important gadget for everyone...you spend more and more time with our smartphones", said Richard Yu, CEO of Huawei's consumer business group, noting that smartphones are increasingly replacing laptops, TVs and even wallets. "This is not a smartphone - this is an intelligent machine." 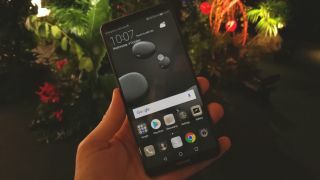 The company says it will focus on shipping the larger, more powerful Huawei Mate 10 Pro across Europe, with the basic Mate 10 model also being offered in other markets. The phone itself is a major step-up from last year's Mate 9 device, sporting a curved-glass body and 6.0in Full HD+ OLED HDR display. However Huawei has managed to squeeze this into a compact device with less bezels than ever before, with the 2160x1080 screen sporting a 18:9 ratio. This essentially represents a 6in screen in the body of a 5.5in device, also making the Huawei Mate 10 Pro easy to use with just one hand - with an all-new 3D curved design that is stronger and thicker than before. Inside, the phone sports Huawei's latest octa-core Kirin 970 SoC, the most powerful chip ever made by the company. Huawei says that the Kirin 970 is twice as fast as Apple's latest iPhone 8, and offers a 20 per cent increase in efficiency compared to the previous Kirin generation, as well as a 20 per cent boost on the world's first 12-core Mali GPU. But where the Mate 10 Pro and Mate 10 will look to stand out is in their AI capabilities, as the Kirin 970 is the world's first smartphone with an integrated neural-network processor unit, or NPU. This allows the device to carry out "parallel thinking", meaning it can complete multiple tasks at the same time, making it Huawei's smartest devices to date. The chip is able to monitor and learn about the user's habits, utilising intelligent behaviour prediction and resource allocation tools to further improve efficiency. Huawei says that the Kirin 970 NPU offers 25 per cent more performance than any other AI chip on the market today, and will help to usher in a new generation of context-aware apps. The company is already working with a number of major partners for new smart AI apps and services, including a Microsoft translator app that can instantly translate 60 languages instantly. The Mate 10 Pro's NPU is backed up by Android 8.0 Oreo alongside Huawei's own EMUI 8.0 software, which includes a number of useful features targeted at mobile working for business users. This includes smart split-screen functionality that will adapt to whichever apps you are using, as well as a one-step shortcut that launches your most-used apps with a single long press. Huawei described the Mate 10 Pro as like "a desktop in your pocket", as thanks to a new PC Mode, it can be attached to an external monitor via a DP port (without needing a separate dock) to either mirror your mobile display, or extend your screen. Thanks to the new EMUI 8.0 Desktop mode, you can to carry out work on one display using your phone as a bluetooth mouse and keyboard - or even just use your phone separately. Huawei says that the device is perfectly optimised for reading and browsing, with a "single-touch" fingerprint scanner able to quickly unlock. The Mate 10 Pro also packs a powerful Mobile Device Management platform that supports Google's zero-touch provision for improved enterprise security, making the device ideal for both work and personal use. All this is backed up by a huge 4000mAh battery that Huawei says should provide a full two days of battery life, thanks in part to machine learning tools that can help improve performance and efficiency. Recharging is also quicker than ever, thanks to Huawei's 'supercharge' function, which delivers over half capacity with just half an hour of charging. The Huawei Mate 10 Pro will also support Cat.18 network connectivity, allowing for 4.5G LTE networks providing up to 1.2GBps download speeds. It will also come in Dual SIM mode allowing Dual LTE connectivity, allowing for business travellers to also utilise dual VoLTE technology. The Huawei Mate 10 Pro will go on sale in the UK later this next month, although a specific date wasn't revealed, costing €799. The Mate 10 will be available later this month, costing €699.